This year’s conference will be held at the Rosen Centre (9840 International Drive, Orlando, FL 32819). In addition to an array of recreation activities onsite, the hotel offers the perfect base to explore Orlando’s world-famous attractions—all within minutes. Reservations can be made online or by calling the Rosen Centre directly at 800.204.7234. Reference Daniel Memorial when making reservations in order to secure the group rate). *See below for deposit and cancellation policy. Discount Room Rate: $105.00 per night (single or double) – Reservations must be made by Monday, August 5, 2019 in order to guarantee the discounted group rate. After that date, reservations will be accepted on a space available basis at the discretion of the hotel. 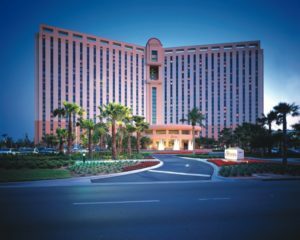 Orlando International Airport (MCO) is just 12 minutes from the Rosen Centre. Ground transportation options range from $21-$45. *HOTEL requires that all reservations be secured by the reservations due date with a guaranteed payment method. Credit cards, debit cards, checks and money orders are acceptable forms of guarantee and/or deposit funds. Five (5) days prior to your arrival, a one night’s guestroom and tax authorization will be processed on your credit/debit card, if there is no deposit. Please be aware that an authorization on a debit card will reduce the funds available in your bank account at that time. Our HOTEL has a five (5) day individual guest room cancellation policy. If an individual guest cancels less than five (5) days prior to arrival, the credit/debit card used to guarantee the reservation will be charged a one night’s guestroom and tax fee. If deposit was sent in to guarantee the reservation it will be refunded only if the room is canceled more than five (5) days before arrival.